For those of you who have been paying attention and/or are of the Jewish persuasion, we are nearing the end of the Days of Awe. They started back on the 9th of September, the evening of which was Rosh Hashonah and the start of the year 5779 by that calendar. Today is Yom Kippur, the Day of Atonement. The ten days between are typically spent in contemplation of one’s past deeds, repentance, and pondering what can be done to rectify past transgressions. Heavy stuff indeed. I’ll be spending the day in quiet reflection, so it’s just as well that I prepped this post back on Friday, especially as I don’t have a clever segue. 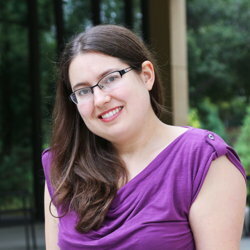 This week’s EATING AUTHORS guest is the second of my three mentees from past Nebula Conferences, and I’m very pleased to have Caitlin Seal here to celebrate the launch of her first novel. 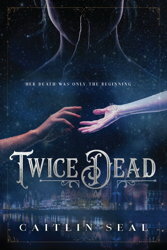 That novel, Twice Dead, is book one of The Necromancer’s Song, and it comes out tomorrow. Caitlin had a bit of scare a few months back when an Amazon glitch started canceling pre-orders and informing the people who had placed them that the book had been canceled by her publisher. Nope. Never happened. And I don’t want to even imagine the kind of panic that must have caused. Instead, let’s just get right to the meal, shall we? LMS: Welcome, Caitlin. What stands out as your most memorable meal. CS: Recently my husband and I celebrated our five year anniversary by eating our way through a two week trip to Japan. Our meals ranged from quick bites grabbed at chain cafés, to multicourse traditional meals at ryokans, to a western-style dinner served by a gregarious American who ran an inn in Nikko. While every meal was memorable, the one that sticks out most for me was a dinner we ate in Nagoya near the end of our trip. We set out from our hotel that evening hoping to find some good beef. The night was warm and the sidewalks busy with pedestrians. It didn’t take us long to wander past a place advertising exactly what we wanted—thin slices of marbled beef served raw with a hot plate to cook them on. We applauded our good fortune and hurried inside. The restaurant was near the top of a narrow high-rise. Once inside, we found the entire place was partitioned into private rooms with windows overlooking the city. Waiters and waitresses in traditional dress darted down the narrow halls to deliver covered dishes to the rooms. Each room had wood paneled walls and a phone for guests to call in their orders. The food we’d seen go by smelled delicious. The rooms were cozy and comfortable, but as my husband and I opened our menus, we felt our stomachs sink. We both speak and read some Japanese, and up until this point we hadn’t had any trouble ordering food. Most menus we’d encountered were written in a straightforward fashion with hiragana (phonetic characters) written above or below the more complicated kanji. This menu was more kanji than not, and unfortunately well beyond our reading level. After trying for a few minutes to muddle through, we called up the frond desk and explained the predicament. When our waitress arrived, she was wonderfully sympathetic. We told her what we were looking for and she helped point out a few options and describe them. With her help we placed our orders for two different steak dishes, some fried potatoes, and a plate of salmon sashimi. When it arrived, the food was exactly what we had hoped for. The beef was tender and expertly seasoned, the sashimi wonderfully fresh and rich, and the potatoes crispy. And, all of it had the added seasoning of victory after overcoming our initial nerves about the language barrier. Thanks, Caitlin. The best beef I’ve ever had was also in Japan when I was there for the Worldcon (and my wife and I also celebrated a wedding anniversary). I’ve since mostly given up eating meat, and I don’t mind. Nothing in the USA could ever come close to that steak in Yokohama. This entry was posted on Monday, September 17th, 2018 at 7:30 am	and is filed under Plugs. You can follow any comments to this entry through the RSS 2.0 feed. You can leave a response, or trackback from your own site.